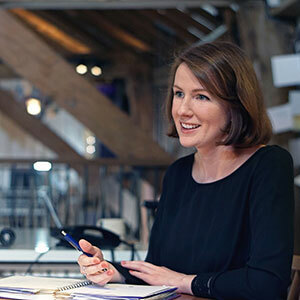 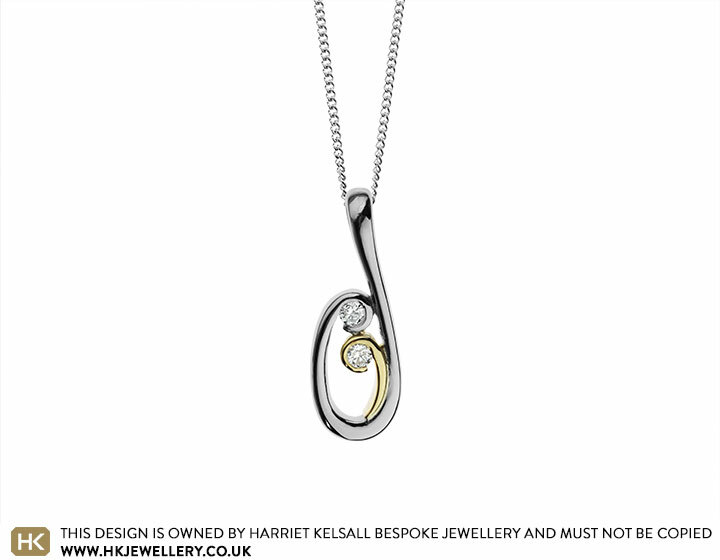 Karen had some of her own gold which she wanted to use to make a bespoke pendant inspired by her existing bridal set. 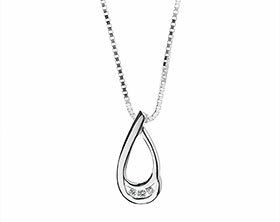 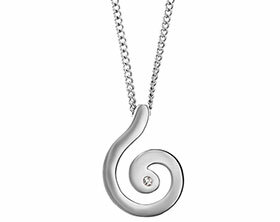 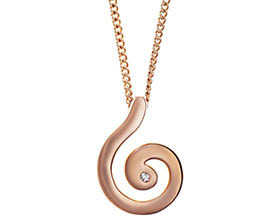 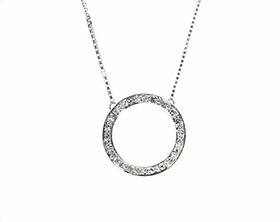 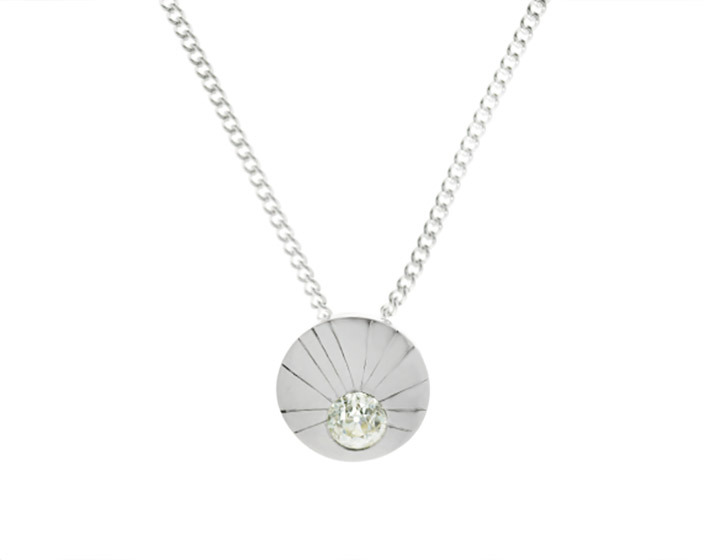 The outside curl of the pendant has been crafted from palladium and holds one of Karen’s own round brilliant cut diamonds in a pear shaped drop. 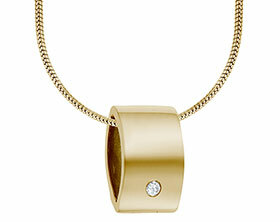 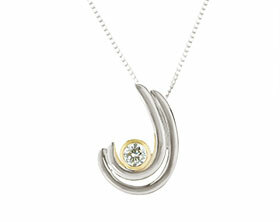 The inside curl has been made from Karen's own gold and also holds a second of her round brilliant cut diamonds. 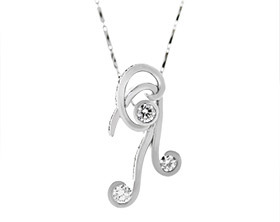 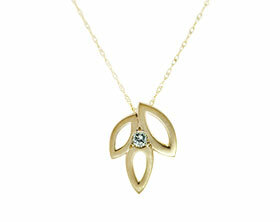 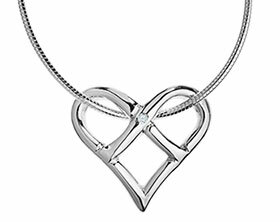 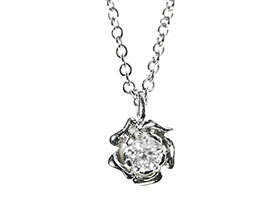 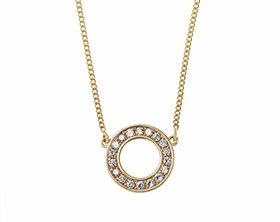 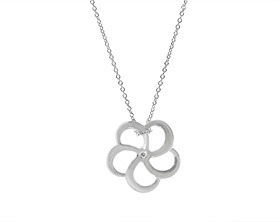 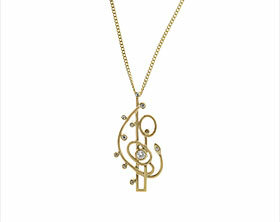 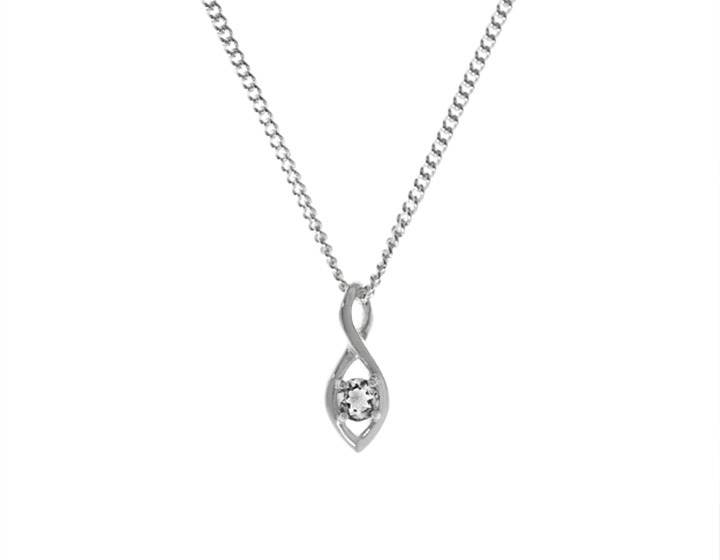 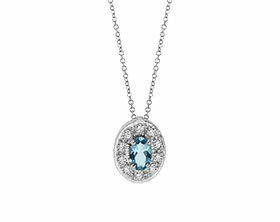 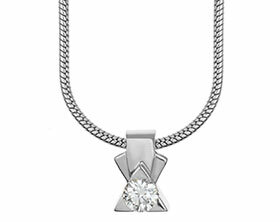 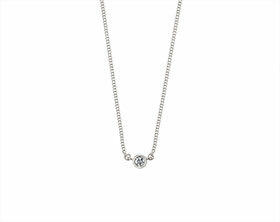 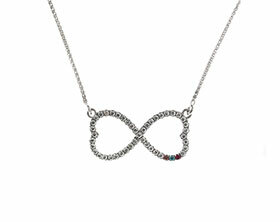 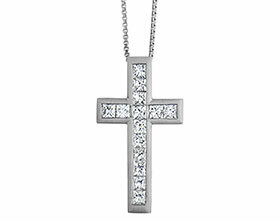 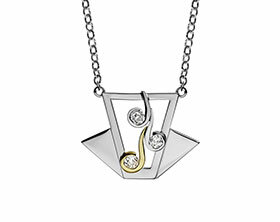 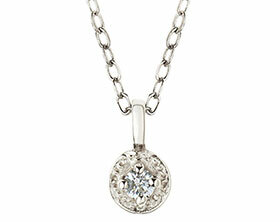 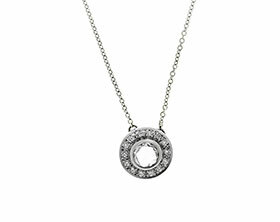 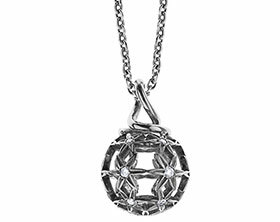 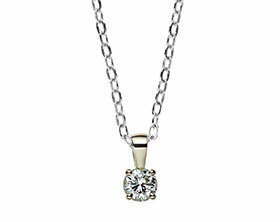 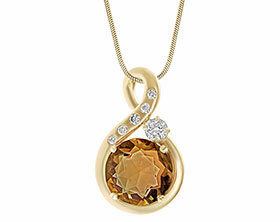 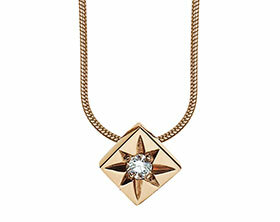 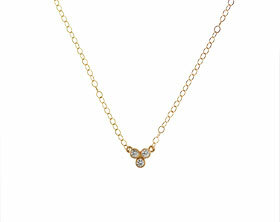 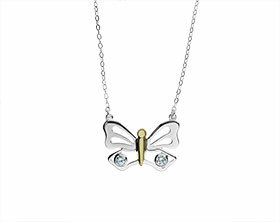 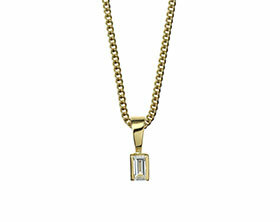 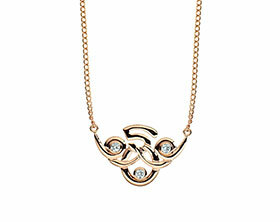 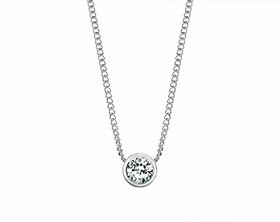 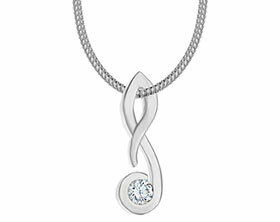 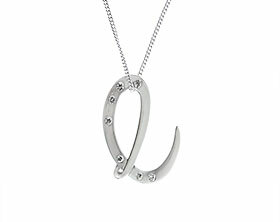 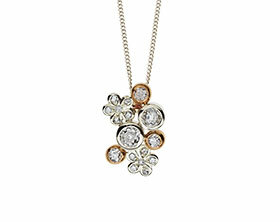 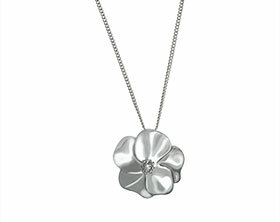 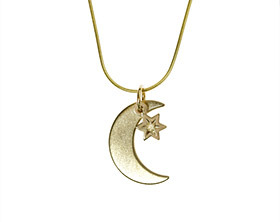 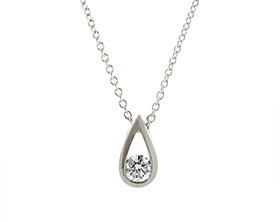 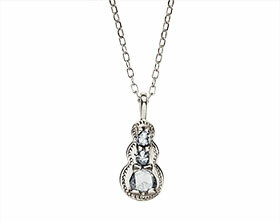 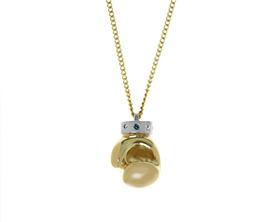 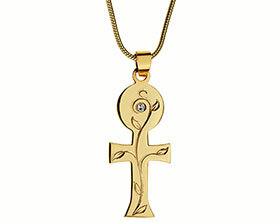 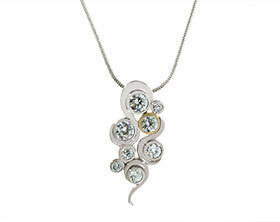 The pendant reflects the bridal set but is also a beautiful piece in its own right.